PDP governorship candidate for Lagos, Jimi Agbaje, says the absence of his campaign posters on the streets of the city is deliberate. 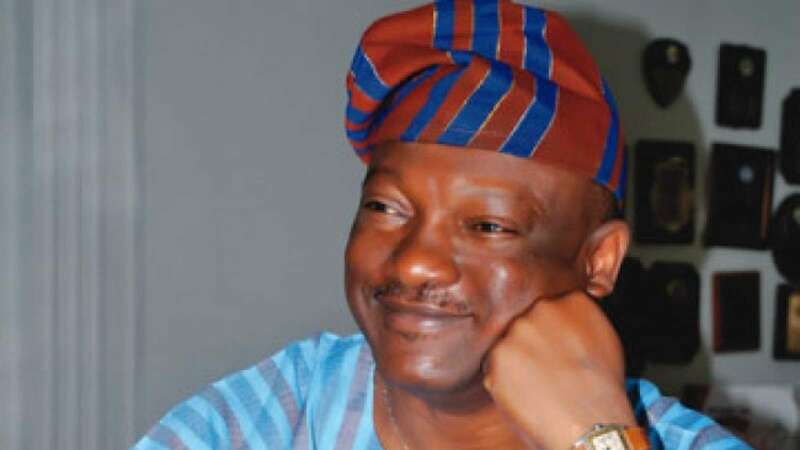 Governorship candidate of the People’s Democratic Party (PDP) in Lagos, Mr. Jimi Agbaje, has explained why his campaign posters are not visible on the streets of Lagos, with the 2019 general elections only four months away. Drive through Lagos, Nigeria’s commercial capital, and what immediately hits you at every turn are the imposing, stylish and colourful campaign posters of APC governorship candidate, Mr. Babajide Sanwo-Olu. In contrast, Agbaje, who got hold of the PDP Lagos flagbearer ticket on October 5 after seeing off the challenge from Deji Doherty, appears to have gone quiet on his supporters and millions of Lagosians who are banking on him to loosen the APC grip on Lagos. “Good morning Lagos, my team and I have gotten a barrage of questions asking why I haven’t been actively campaigning in public and I think it&apos;s about time that we addressed it”, Agbaje wrote in a statement. “Now if that is the rule, then we have no choice but to abide by it – even if it might sound unpopular to do so. And quite frankly, what precedence would we set if we are not keeping to the rules of competition? “To my supporters and well-wishers, I understand that we’re anxious to get this campaign on the road, but it’s important that we are also mindful of the bigger task ahead – which isn’t just about winning an election but about changing mindsets and sending a strong message across Lagos that under our watch, it wouldn&apos;t be business as usual. “If our goal is to bring reform and order to governance in Lagos, if our mission is to fundamentally transform the way government works for the greater good of our people and not a few vested interests, then we must begin by setting an example by obeying instructions. So I implore everyone to please hold on to those wonderful banners, posters and boards until the 1st of December. Let’s win this one again, the right way”. Agbaje also added that when his campaign eventually hits the road, it will focus on the issues and the issues only. “Friends, we have an opportunity in this election to really make it about the people of Lagos and not our personal egos. Currently, Lagos ranks as one of the top 7 economies in Africa yet – like a good friend of mine puts it, “majority of us work like elephants but eat like ants. “What happened to Lagos? The size of our economy today is as large as the entire economy of Nigeria in 1999 yet we cannot boast of the sort of infrastructure that is worthy of a mega city of our status. Think about that for a second. “In this election there are real issues that must be addressed and bold ideas that must be proffered if ever we are to win the Lagos that this generation desires. I&apos;m not under any illusions that this would be easy – which is why we need all hands on deck. “Everyone counts in this struggle to wrestle our dear state from the clutch of overlords and vested interests and I cannot wait to hit the trail to meet and interact with you all”. The APC (through different name regimes) has been in control of Lagos, a city of some 20 million people, since Nigeria’s return to democratic governance in 1999. This is the third time Agbaje will be running for the office of Governor of Lagos.